Central Florida is a hub of exciting attractions. With everything from world-famous theme parks, to beautiful sandy beaches, to unique shops and restaurants, taking a vacation unforgettable here guarantees an unforgettable experience. 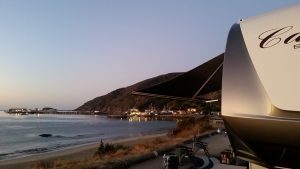 RVPlusYou offers delivered RV rentals to your campground; set up and ready upon arrival. 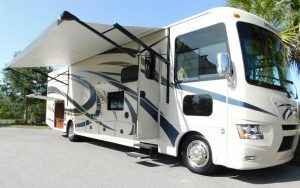 For a list of RV rentals in the Orlando area click the orange button above. 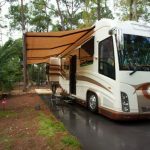 If you are looking to plan your next RV trip to Orlando, Here are some of our top choices for RV campgrounds in the area. Orlando/Kissimmee KOA is a perfect campground for those who are looking to experience Central Florida’s many amazing attractions. Kids and adults alike will love visiting the nearby amusement parks, like Walt Disney World, Universal Studios, and Legoland Florida. After your day of adventure, you can return to the many amenities that the ground offers, including, a pool, a jumping pillow, a hot tub, and a fitness room. Bill Frederick Park is perfect for families and anyone who loves nature and outdoor activities. The park sits next to Turkey Lake in Orlando, Florida. If you have kids, they will love playing at the playground and visiting the park’s zoo. There is a path bordering the grounds that is perfect for walking and biking. Additionally, for those who love fishing, Turkey Lake is one of the best fishing lakes in Florida. Moss Park sites on Mary Jane Lake in Orlando Florida. 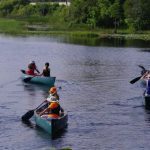 There are lots of options here for both water and land activities. You can go fishing, boating or swimming in the lake or go for a hike or a bike ride. Whatever it is that you like to do, you’ll find accommodations at Moss Park. Disney’s Fort Wilderness Resort provides you with a magical camping experience. 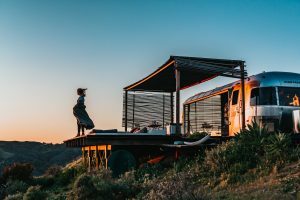 The site is located on a 750-acre pine and cypress forest and gives campers the feeling of camping on the American frontier. The grounds have endless amounts of fun activities for the family as well as plenty of convenient transportation. Kissimmee RV Park is great for families and is pet-friendly. Located about 30 minutes from Orlando’s most famous attractions, this site makes it convenient to see all the sites you want to see. The resort offers a variety of amenities to ensure that your stay is as enjoyable as possible. 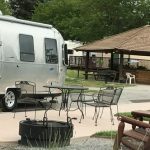 This campground is situated near various shops, restaurants, and flea markets for you to explore. This RV resort is a great option for those who love to shop, as it is close to 6 major malls and outlets. The site itself is full of trees and has beautiful clear water lakes. The on-site amenities make Sherwood Forest RV Resort an amazing spot for a fun and relaxing vacation. Orlando RV Resort is the best resort for those seeking a peaceful and relaxing vacation experience. It sits along the beach and a beautiful spring fed lake, making for an incredibly serene setting. 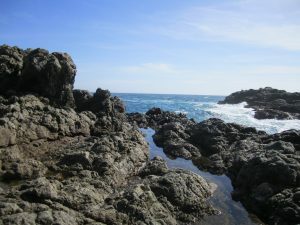 This resort is very popular, so it is a good idea to book your site ahead of time. The on-site events create a perfect balance between relaxation and activity. Check out this site for an enjoyable trip to Florida. Lake Magic RV Resort sits on Lake Davenport in the city of Clermont, Florida. From here, you can conveniently access all the local theme parks, golf courses, shops, and restaurants. There is no end to the fun activities. After an adventurous day out, you can return to the resort and enjoy the many wonderful amenities that this site has to offer. This resort is a 90-mile drive in either direction from Florida’s coasts. Winter Garden RV Resort is close to a multitude of shops, attractions, and delicious restaurants, which makes it a great location for those who want to partake in all of central Florida’s amazing activities. You are sure to have a great time relaxing amongst the natural beauty in this part of Florida. According to the resort’s website, this campsite boasts a “small town Southern feel.” The park itself sits many amongst beautiful oak trees. It is located near the city of Mount Dora, which is well known for its antique shops, restaurants, and other entertainment. With so many different activities to choose from, this site provides fun for the whole family.